Star Wars films have become a much-coveted prize for up-and-coming directors in recent years, a shiny brass ring for guys—somehow, it’s always guys—like Rian Johnson, Colin Trevorrow, Gareth Edwards, Josh Trank, and Phil Lord and Christopher Miller to leap for, and then (more often than not) immediately slam back into the ground. Now—presumably motivated by his success with Thor: Ragnarok—Star Wars mastermind Kathleen Kennedy has said she’d “love for” Taika Waititi to join that club of hopefuls and direct a Star Wars film of his own. This comes from a recent conversation with New Zealand’s Newshub, whose reporter outright asked Kennedy about the potential for the What We Do In The Shadows director to come aboard the franchise. 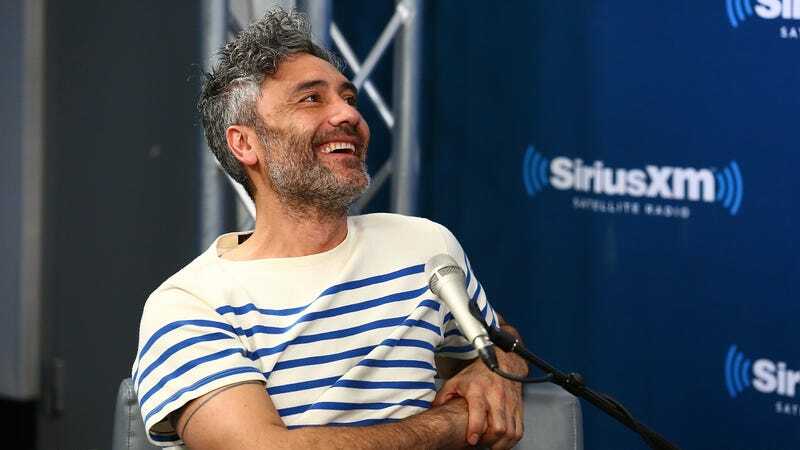 Kennedy responded positively, noting that she thinks that Waititi “has exactly the right sensibility” for the series, in what may or may not have simply been a bit of intra-company courtesy, given his involvement with Disney’s Marvel movies of late. As it happens, Waititi has actually addressed this particular question before; back in October,he pretty quickly demurred when The New York Times asked him about the idea, responding, “That particular franchise seems really hard. There’s not much room for someone like me. Through its narrow canon, the tone of Star Wars has always been determinedly self-serious”—something that’s believed to have especially caused problems for Lord and Miller, who Kennedy booted off the pair’s Han Solo movie earlier this year. Indeed, it’s kind of hard to see what, exactly, Kennedy meant when she talked about Waititi’s “sensibility” fitting in with Star Wars. Ragnarok worked largely because it subverted the now well-hewn tropes of the MCU, and Star Wars has never been a series with much tolerance for that brand of creative mischief.